One reason cervical and vaginal cancers are so deadly is that, most of the time, they go undetected until they’ve reached an advanced stage. According to the American Cancer Society, if a patient is diagnosed with cervical cancer before it has spread elsewhere, she has a 92 percent chance of surviving five more years. Her survival rates drop if the cancer has spread to nearby (56 percent) or distant (17 percent) organs. Similarly, out of every 100 women diagnosed with stage I vaginal cancer, 75 to 95 will live five more years. But for every 100 women who learn they have stage IV vaginal cancer, only 15 to 50 will live that long. WVU researcher Valerie Galvan Turner has launched a clinical trial to test a new treatment for these dangerous cancers. Valerie Galvan Turner, a gynecologic oncologist at the West Virginia University Cancer Institute, has opened a randomized clinical trial to assess whether a novel supplemental treatment can help chemotherapy and radiation fight these dangerous forms of cancer better. This study, funded by the National Cancer Institute, is one of the few to include vaginal cancer. “Vaginal cancer is very rare. Most cases are related to metastatic cervical cancer or HPV infection. Smoking increases the risk of cancer in that area,” said Galvan Turner, who also teaches obstetrics and gynecology in the WVU School of Medicine. Women newly diagnosed with stage IB2, II or IIIB-IVA cervical cancer, or stage II-IVA vaginal cancer, will be eligible for the study. Participants will be randomly assigned to one of two groups. The first group will receive weekly chemotherapy with a course of radiation. The second group will be given the same treatment except for one significant addition: a substance called triapine. After participants undergo either the standard or experimental treatment, Galvan Turner will monitor them for at least five years to determine which group has the lower rate of cancer progression. Imaging technologies like CT and combined PET/CT scans will enable her to track the tumors as they grow, spread, shrink or disappear. Galvan Turner will also compare the overall survival rates between the two groups and observe whether the patients who took triapine were more likely to experience side effects, such as gastrointestinal distress, anemia and low blood platelet counts. Galvan Turner is currently enrolling eligible patients in the study. Her research partner Charles Leath—lead investigator at the University of Alabama at Birmingham—is enrolling participants and working to have this trial opened and multiple sites nationwide. “There are many benefits to participating in a clinical trial. Not only do patients receive standard treatment with close follow-up during this time, they also have a dedicated team of research personnel and nurses to help them navigate through their treatment course,” Galvan Turner said. 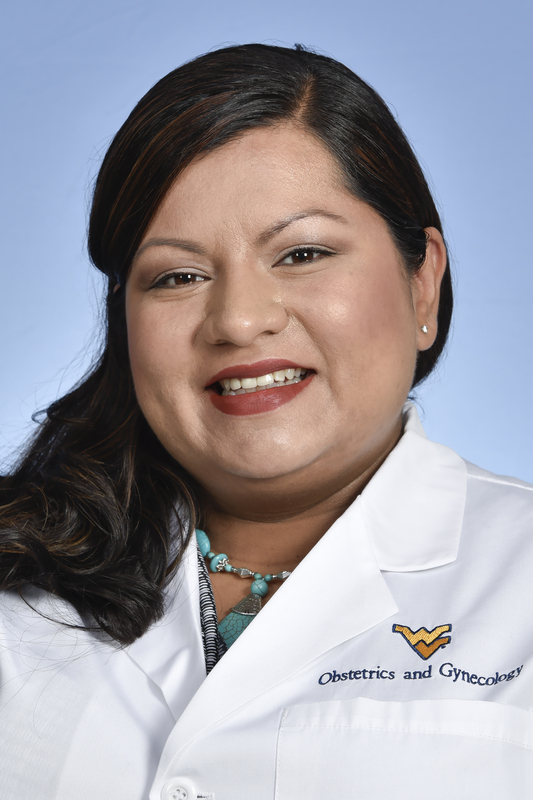 WVU researcher Valerie Galvan Turner, a gynecologic oncologist at the Cancer Institute and assistant professor in the School of Medicine, is enrolling participants for a randomized clinical trial of a novel cervical- and vaginal-cancer treatment. The new compound being tested would supplement conventional radiation and chemotherapy treatments and amplify their beneficial effects.